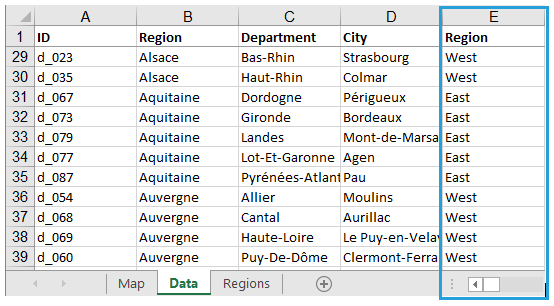 Let’s start with preparing the data in a new sheet where Regions are assigned to administrative areas available in the map. Then assign them to the Data sheet by creating a new column called Region. You can use Excel VLOOKUP function to do this task. 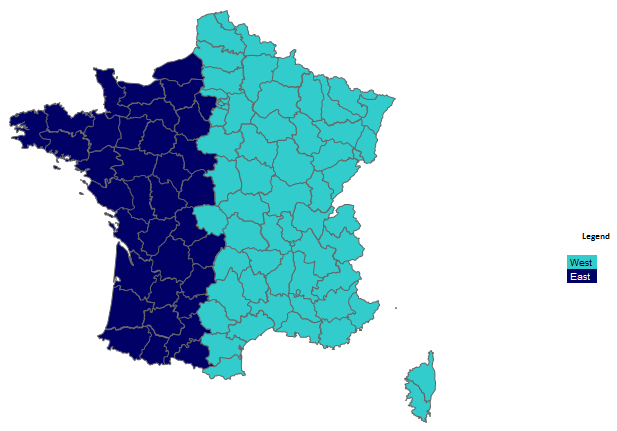 Next prepare a list of unique region names and assign to them integer numbers from 1 to maximum 30. 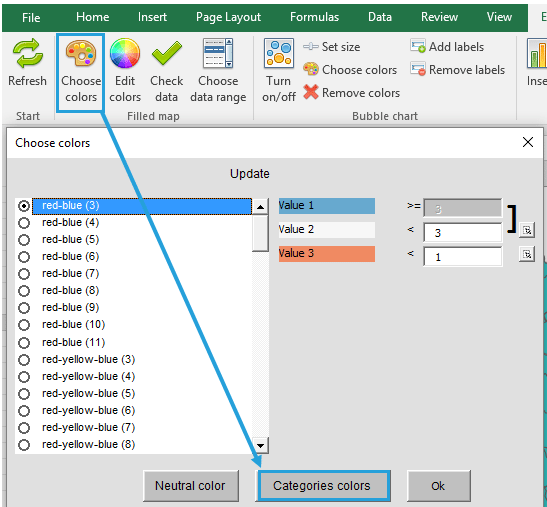 Then go to the Map sheet and find Choose option on Map ribbon > Categories colors > Edit names > enter the number of regions, edit their names and colors. After hitting OK, we get the regional division on the map. 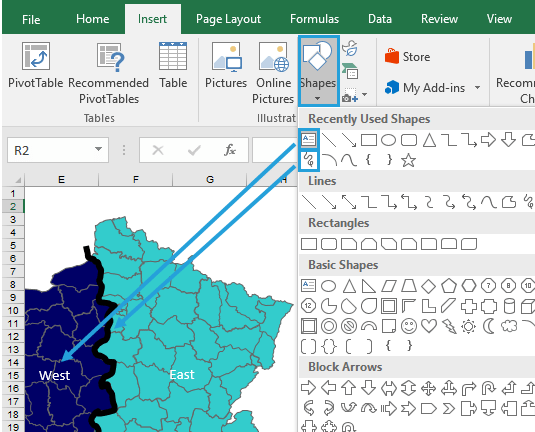 Now you can add on top of the map your region shapes (by using Freeform: scribble shape) or any text label (like region names).